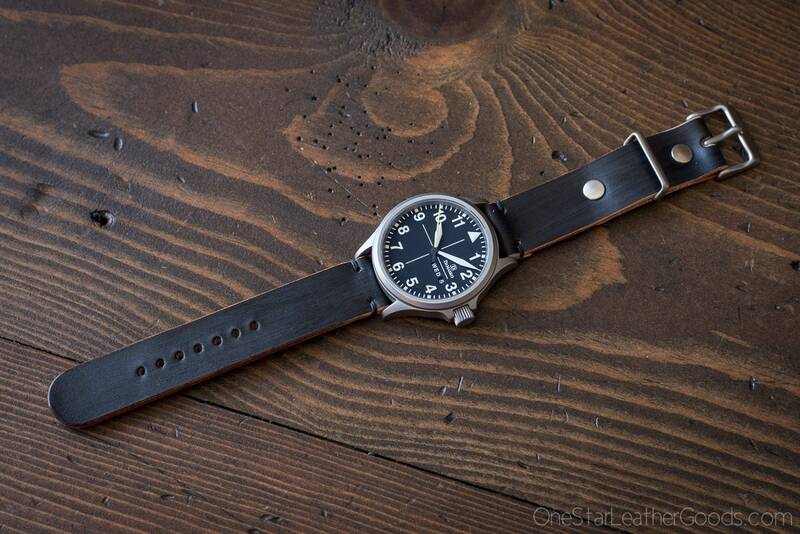 Superior quality Horween leather two piece natural leather watch band that will last for years and age wonderfully. **I have tried many different leathers for watch bands, and this is the absolute best. It ages wonderfully and is durable as all heck--lasting many times as long as most other watch bands. 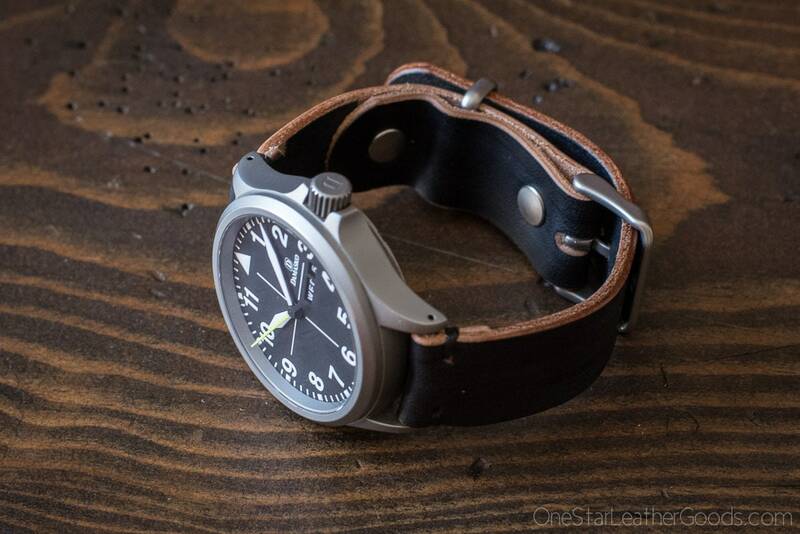 A simple watch band from a superior material. A sliding loop keeper can be positioned where you need it. The leather will mold to that position and keep it in place. This leather has been hand dyed black, and the edges left natural for some subtle contrast. The edges are beveled and burnished for a smooth feel. Available in 20mm and 22mm. Can also be done in 18mm and 24mm, contact me if that interests you. Hardware is available in matte black, matte silver and polished silver. Bands are hand stitched and can be done in a huge array of colors. The default and most popular option is black. 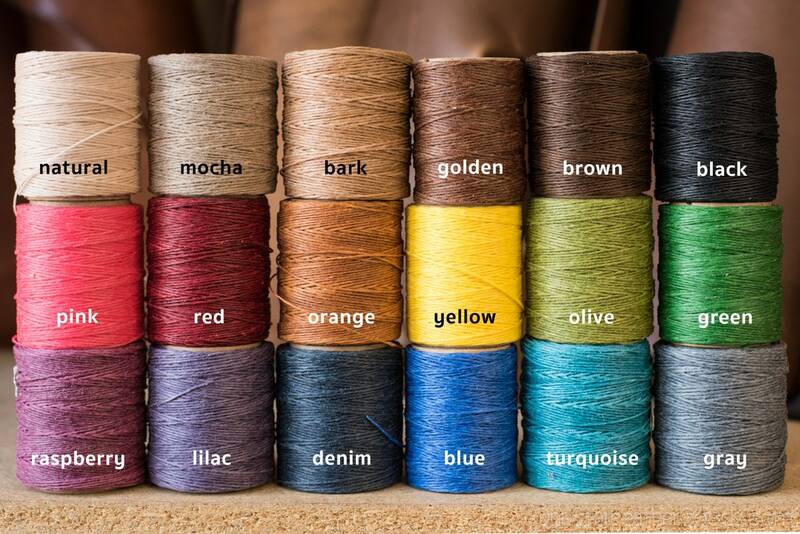 If you'd like another color stitching, please let me know in the notes field of your order during checkout. As you can see in the final "wrist size" picture, these bands will fit wrists from about 6.75"-8.25", and they will stretch about one hole as they break in. So even if your wrist measures 6.5", likely this will work for you (it will just be tight until it breaks in a bit). 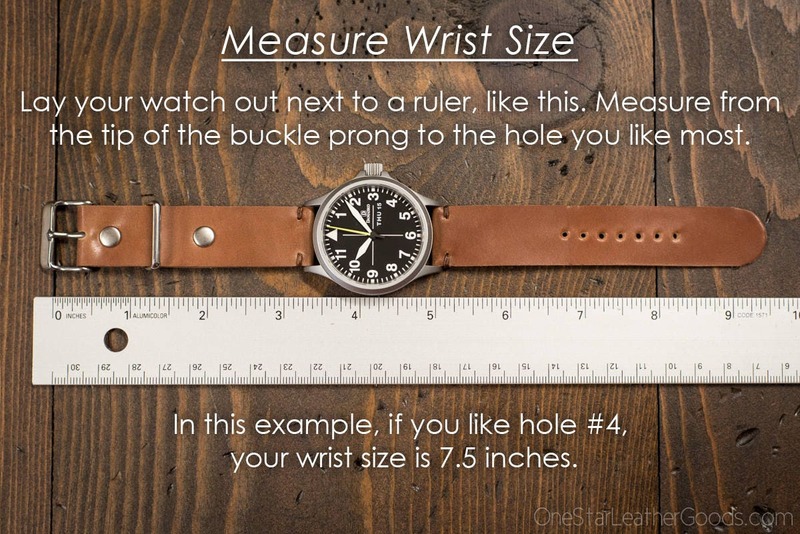 To measure your wrist size, please follow the instructions in that photo - this measurement is usually about 1/2" larger than just wrapping a string or measuring tape around your wrist. Superior Horween natural veg leather. 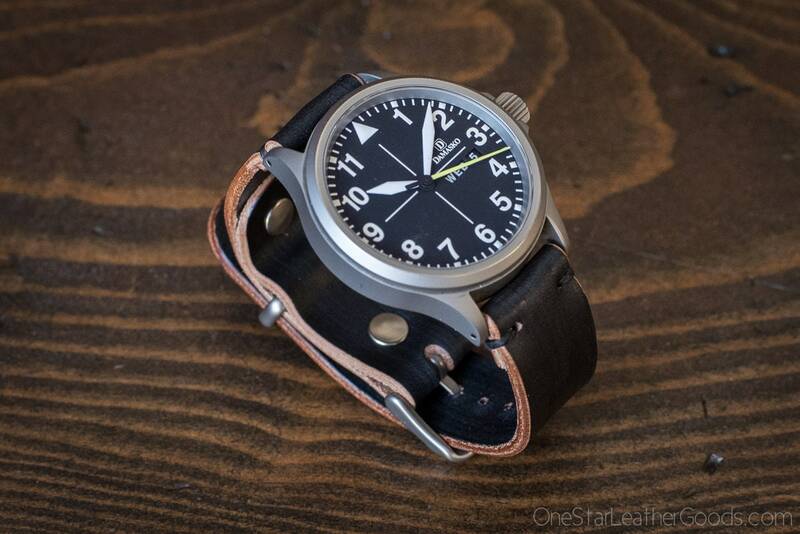 It is a dense, tight-grained leather and the strap is thick. 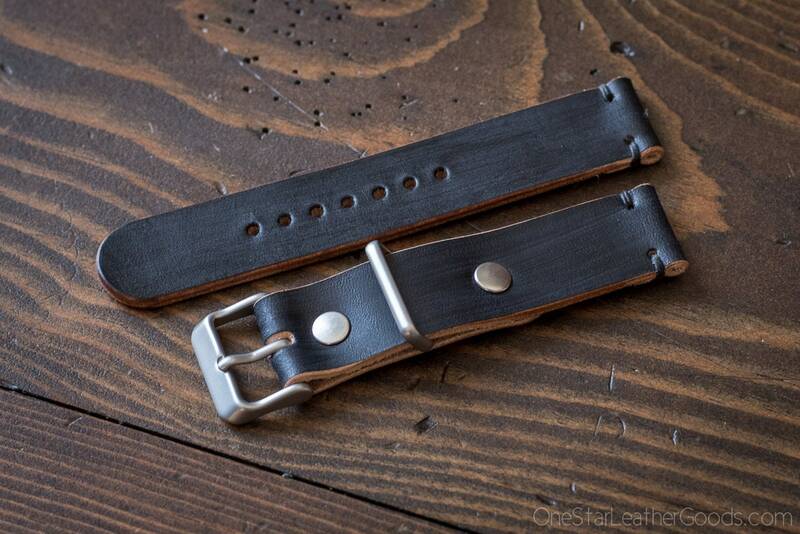 This is the best, most durable leather I have yet found for watch bands.